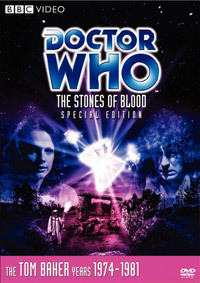 The Stones of Blood marked Doctor Who’s 100th adventure, and the 15th anniversary of the show’s first broadcast in November 1963. 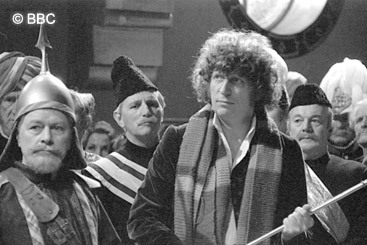 To mark the occasion, an extra scene was written of Romana giving the Doctor a birthday cake. However, the programme’s Producer felt this was too self-congratulatory and had it deleted from the camera scripts. Anyone for tennis? It’s an English expression. It means, ‘Is anyone coming outdoors to get soaked?’. 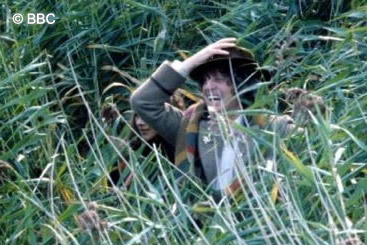 Romana pays her first visit to Earth as the locator leads the team to an ancient stone circle on Boscombe Moor. But there the signal becomes intermittent, appearing and disappearing inexplicably. 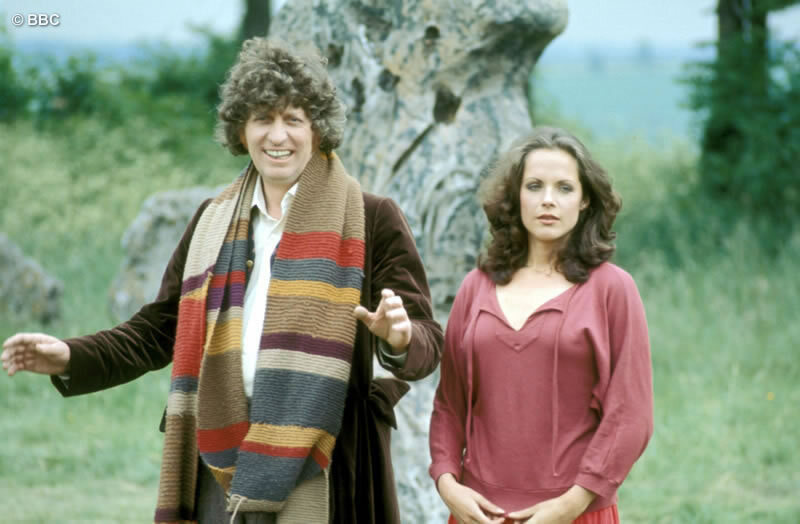 Leaving Romana to keep an eye on two archaeologists, Professor Rumford (Beatrix Lehmann) and local landowner Vivien Fay (Susan Engel), the Doctor visits a Druid living nearby who tells him about their worship of a Celtic goddess, the Cailleach, who is connected to the stones. Before long trouble erupts. The stones begin moving, bringing death and destruction to the Druid cult. Sinister black crows roam the skies, acting as the eyes of the goddess. But who is she? 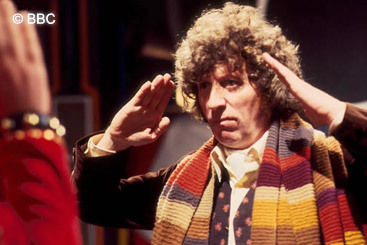 The Doctor traces her origins to a hyperspace prison ship, becalmed in the limbo of another dimension, and yet hovering invisibly and intangibly in the air above the stone circle. One of its prisoners, Cessair of Diplos, slipped her shackles, disabled the ship and escaped by crossing the dimensional divide, living on Earth for centuries as a goddess worshipped by Druids, and among the local community as Vivien Fay. She commands the blood-seeking Ogri stones. Her necklace, which enables her to cross dimensions, is revealed as the third segment of the Key to Time. 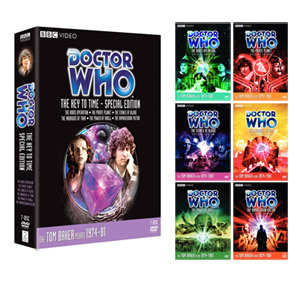 But getting it entails a battle of wits between the Doctor and two spherical justice robots he inadvertently reactivated while exploring the silent prison ship. At first the justice robots do not recognise Vivien Fay as their escaped convict, and instead are more inclined to pass sentence on the Doctor for breaking and entering. 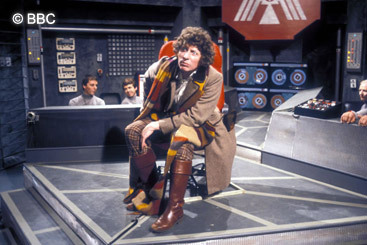 But when the Doctor arranges for Miss Fay to be ‘accidentally’ knocked unconscious, the robots scan her brain for injury and learn she is indeed Cessair of Diplos. 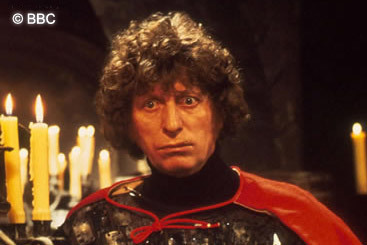 They pass sentence by transmuting her into an Ogri stone, but not before the Doctor snatches the necklace from around her throat. 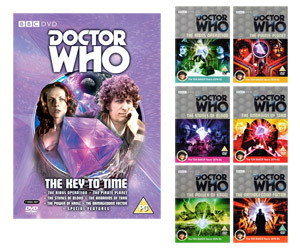 as part of the Key to Time boxset.